In our pursuit of offering the latest technology in home heating and hot water SJH Plumbing & Heating now offer affordable Air Source Heat Pumps. 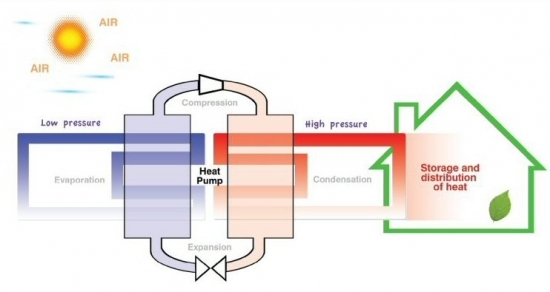 Even cold air is full of energy and air source heat pumps use the freely available heat in the ambient air to provide efficient heating and hot water. Because the source of heat – the air – is abundantly available all around us, air source heat pumps have the advantage of low installation costs and minimal space requirements, while relatively mild winter temperatures in the UK mean excellent levels of efficiency and performance are achieved throughout the year.